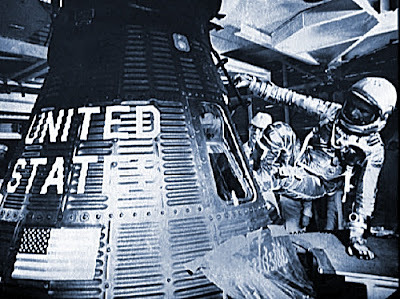 John Glenn flew aboard the Mercury capsule Friendship 7 on February 20, 1962, on the Mercury-Atlas MA6 mission, during which he circled the Earth three times in a flight lasting 4 hours, 55 minutes, and 23 seconds. The pic above shows him climbing into the one-man spacecraft. Australians saluted Glenn during the flight, when the city of Perth became the ‘City of Light’, residents switching on all their house and street lights as the astronaut passed high overhead. It was a tribute that Perth repeated when Glenn flew in the Space Shuttle in 1998. On that mission he was aged 77, and still holds the record as oldest man in space. Good for you John Glenn, and NASA for making it possible. 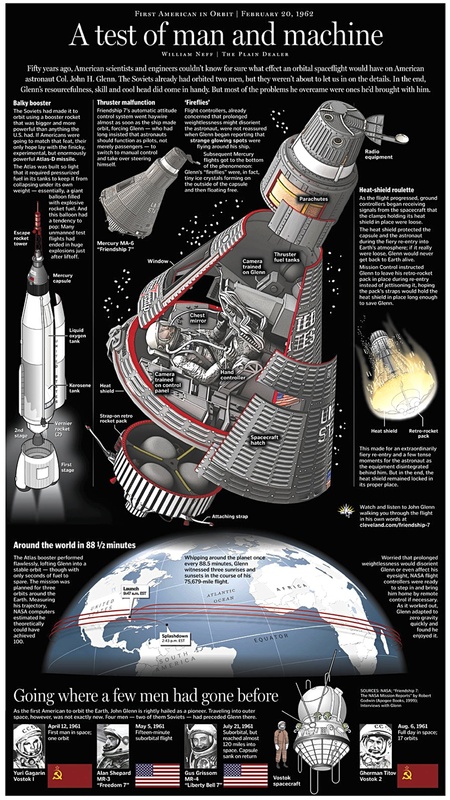 Thanks to Cleveland.com for the infographic. 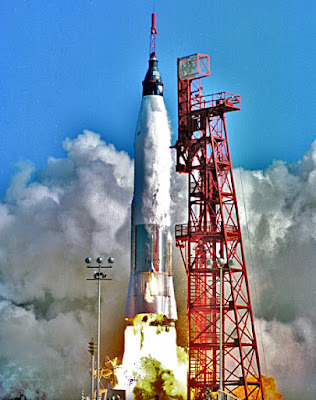 See the Dragon 1:72 scale model of the Mercury capsule Freedom 7 here and other Dragon Space models here.